Here's the 4th installment of cards I made for the Splitcoaststampers Dare to Get Dirty week-long challenges. There were 5 challenges a day so at the end I made 35 cards! We are not supposed to disclose the exact details of the challenge as participants need to be a member of the SCS Fan Club but I have listed their titles here so perhaps you can figure it out?!!? I also list my supplies for each card at the end of this post. The Challenge: Does it Spark Joy? It was so fun trying out new or forgotten techniques and to get so many cards made for my stash - I sell them to friends where I used to work as well as at my church - so I need a constant supply of new designs! I'll be back in a few days with 5 more - hope I'm not boring you to death!?! 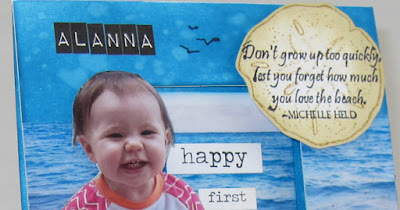 A co-worker asked me to make a 1st Birthday card for her daughter Alanna who LOVES the beach - and she supplied me with this photo of her to use on the card. 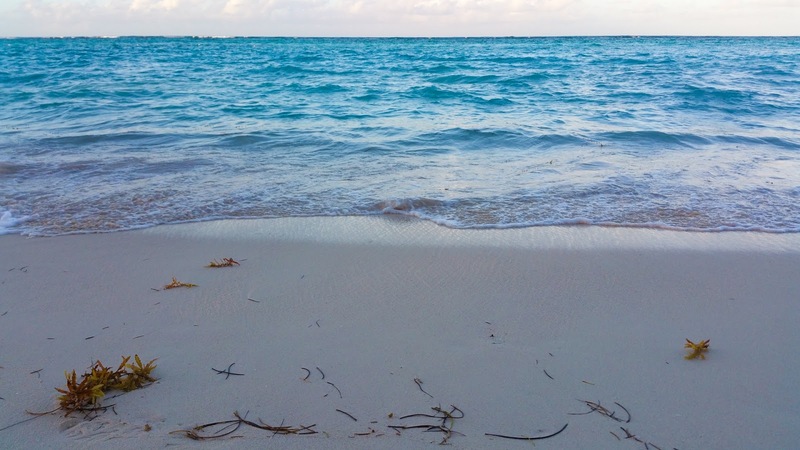 I went to the internet to get some beach inspiration and found this photo that I thought would work well as a background. 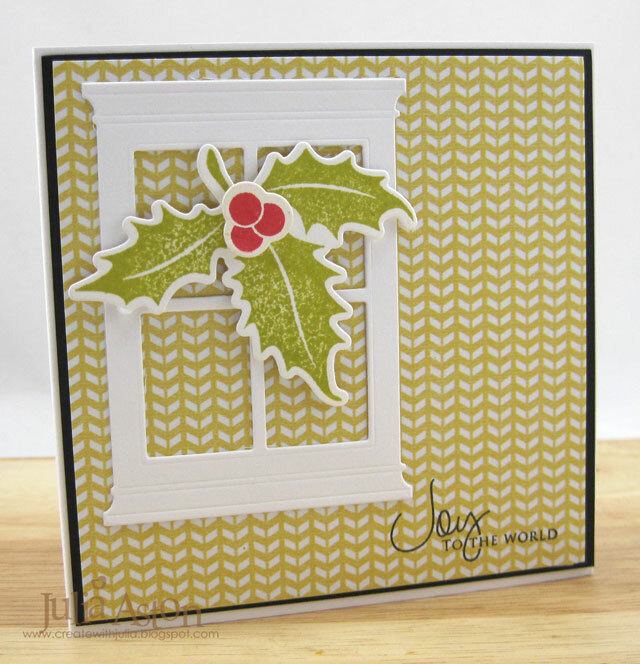 Here is the card I created - It's actually a little stand up frame that I made using Eileen Hull's Mailable Frame die from Sizzix. 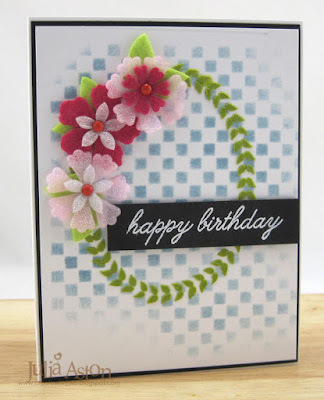 Here's how I created this Birthday Frame Card. 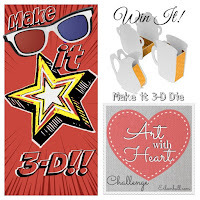 I die cut the frame out of Little Sizzles Matboard from Sizzix. Then I laid the beach photo over the die in the frame opening area so I could use a piece of the photo on the frame as well as the inside. 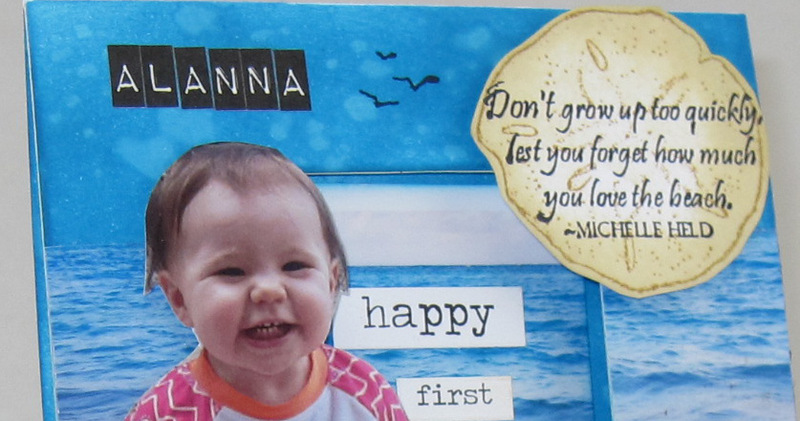 I fussy cut Alanna's photo as well as her beach toys. Since the beach photo didn't cover the whole frame, I masked at the folds with some Post It Notes, sponged the frame and the inside of the frame with Distress Mermaid Lagoon. Then I flicked water over the inking to make water spots to add to the watery feel of the card. I added her name using Idea-ology Label Letters. I stamped a sand dollar on a piece of white card stock using Distress Brushed Corduroy, stamped the sentiment over it in Archival Jet Black and sponged the edges with Distress Antique Linen. I adhered it to the frame with foam dots. I stamped the 3 little seagulls in the sky. I adhered the photo of Alanna and her beach toys with foam dots. You can see how the frame stands up in the photo below - it can be folded right up and mailed in an envelope just like a regular card! 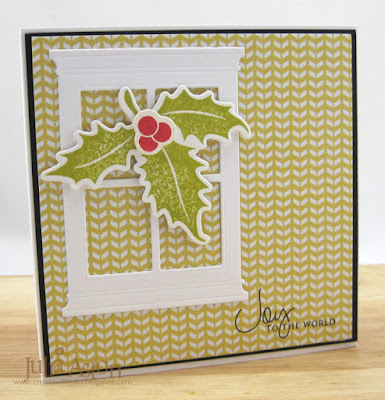 My card design was inspired by the Featured Stamper Challenge over on Splitcoast today - I saw this card by Amy and the window on her card immediately made me think of using my frame die! 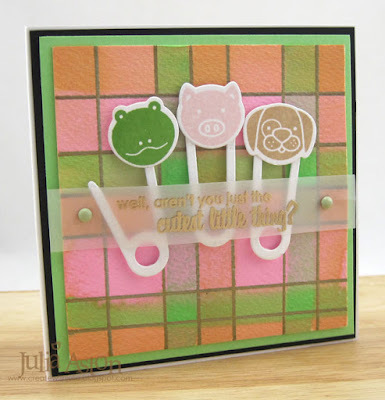 The design part is often the most difficult when creating a special card - I had all the pieces but wasn't quite sure how to put them all together - so seeing Amy's card was SO helpful! 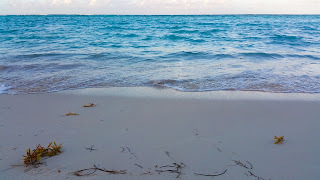 Accessories: Mailable frame Die - Eileen Hull/Sizzix, beach photo from internet, baby photo, water for flicking, Idea-ology Label Letters, Big Chat, Chit Chat, Small Talk/Occasions, foam dots. If you're looking for my A Vintage Journey post - please scroll down or click here. Happy 2016 everyone! 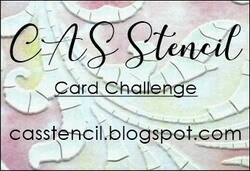 Along with the New Year - we are also welcoming the first of the New Year challenge over at Mixed Media Card Challenge! For the month of January, Shery's theme is Beginnings - with the optional use of sequins. 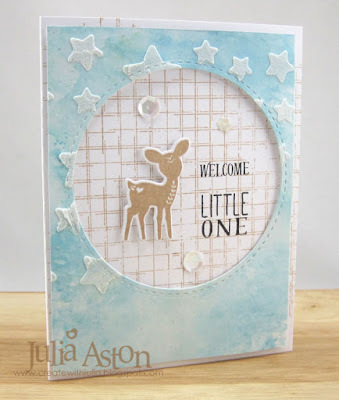 I interpreted the Beginnings theme as a new life - and made a sweet baby boy card that I will be needing to mail out towards the end of this month. 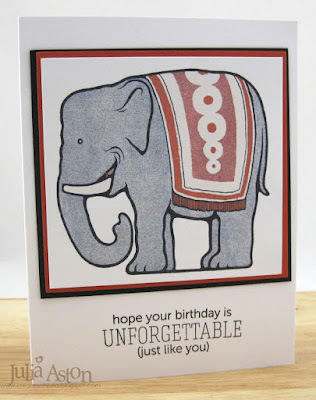 I stamped the white card base with a retired grid stamp in Kraft ink. I used Tim Holtz Marbled Stains technique on the blue panel from Page 46 in his Compendium of Curiosities Vol II book. I started with a piece of Ranger Specialty Stamping Paper (matte coated cardstock). I brushed some Ranger Distress Picket Fence Paint on my craft made. Then I sprayed 3 Distress Stains around the edges of the paint - I used Tumbled Glass, Broken China and Scattered Straw. Then I dragged the panel through the mix until it was covered. I dried it a little with my heat tool, and then spritzed it with water to marble it. 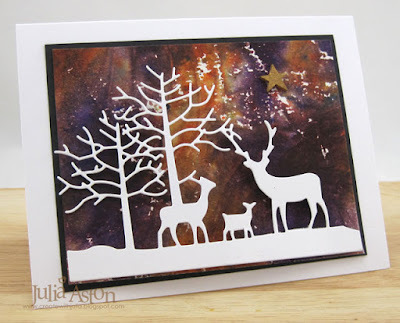 After it was dry, I laid a star stencil over the panel and spread white embossing paste over portions of it. After the embossing paste was dry - I cut out the circle using a Stitched Mat Circle die from L'il Inker Designs. I adhered the panel over the card base with foam dots. 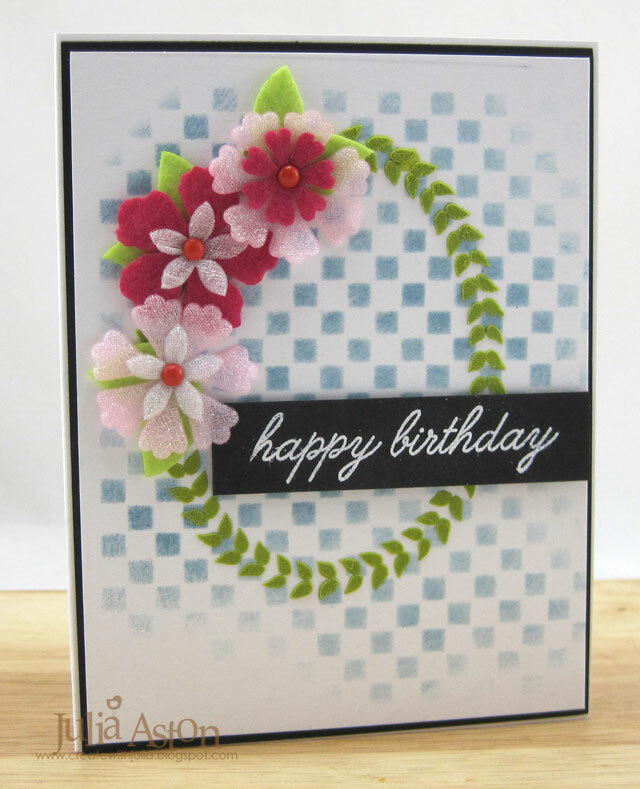 And I added the optional sequins onto my card using Shaker Mix Vanilla Frost from Waltzingmouse. Here you can see the marbled look a little better. 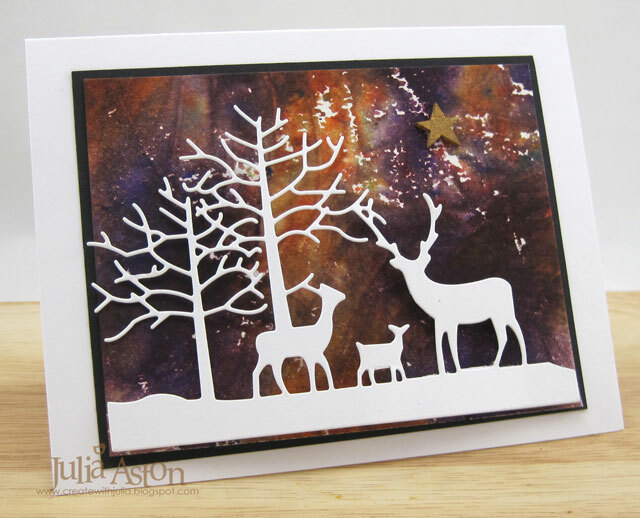 I die cut the deer using Wee Folk dies from the Mini Market Kit by PTI and stamped it with the coordinating stamp in Kraft Ink. 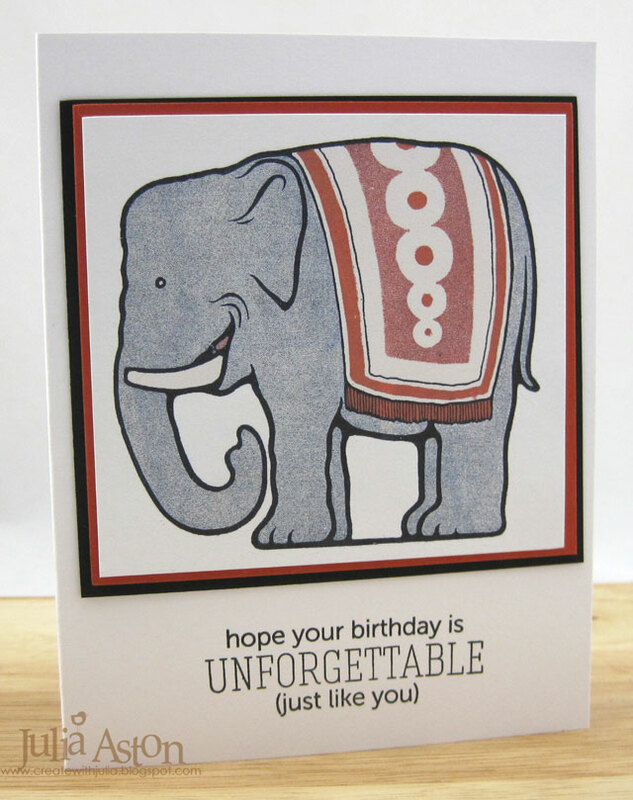 I layered it inside the circle with foam dots and stamped the sentiment, also from Wee Folk, directly on the card base. 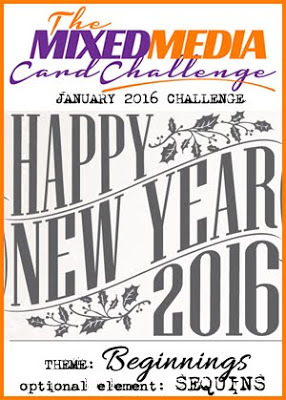 So please join us for our first challenge of 2016 - what does Beginnings mean to you?? A new year, a new life, a new boyfriend, a new job??! 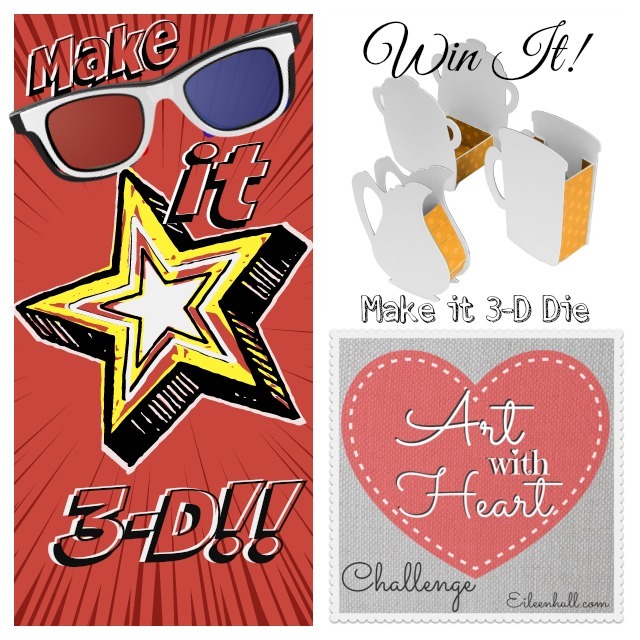 You'll find more inspiration from the fabulous design team as well as challenge details and link - here. Accessories: Ranger Distress Picket Fence Paint, Ranger Distress Stains Tumbled Glass, Broken China and Scattered Straw, Stitched Mat Circle Die - Lil'Inker Designs, Sequins Shaker Mix Vanilla Frost - Waltzingmouse, water spritzer - Ranger, foam dots, Wendy Vecchi White Embossing Paste, Star Gazzer Stencil - MFT, heat tool. I'm joining in with the Tag You're It challenge today. 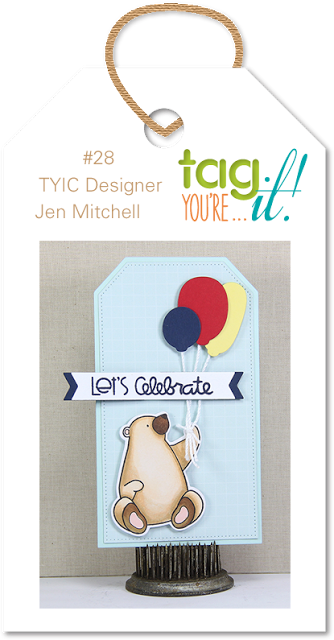 And what a sweet little tag from Jen to inspire us - a cute little bear and fun party balloons on strings! I decided to go 'baby tag' and pulled out the Sweet Cheeks stamps and dies from PTI. 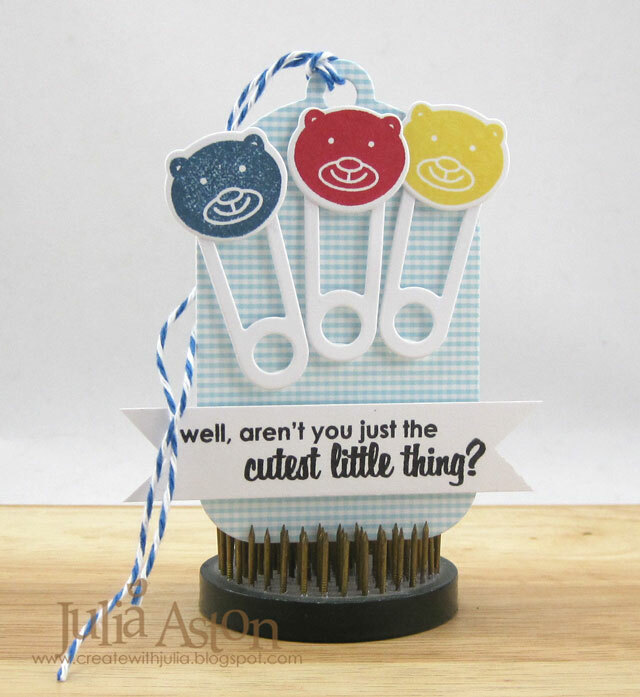 I was inspired by the primary colors of the balloons, the blue tag and the bear (I just used bear heads!). I arranged the safety pins sort of like the balloons. while I had everything out I made a pink one as well with pig, chick and frog heads! You'll find the Tag You're It challenge here. 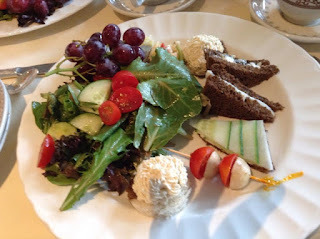 I have some photos to share from the Wenham Tea House where my sister and I had lunch yesterday to celebrate her birthday (which was actually in April but we kept having to change the date!). along with a delicious warm raspberry scone, clotted cream and jelly. We ordered the Plated Luncheon - assorted Tea Sandwiches of the Day, salad, and grapes. They also brought us little corn muffins with a delicious cinnamon butter. All in all, a lovely afternoon with my sister! Ink: Boy: Pure Poppy, Enchanted Evening, True Black - PTI, Dandelion - Memento: Girl - Limeade Ice, Hibiscus Blast, True Black - PTI, Dandelion - Memento. A young co-worker is having her first baby (a girl) in August and we are having a baby shower for her next week. I'm contributing something to the joint gift we are giving her but I also wanted to give her something just from me. So I made this sweet little Baby Food Jar box. How cute is this??!! It measures about 2 1/4" wide x 2 3/4" high by 1" deep. The perfect size to slip in a gift card, a roll of cash, or a small gift! 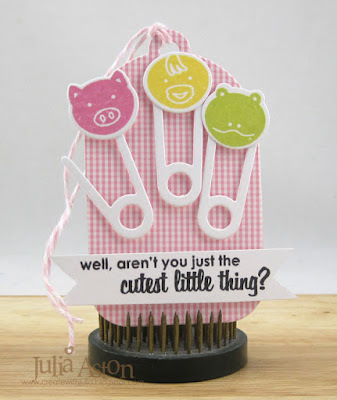 The die is called Food Jar 3D and Spoon - designed by Eileen Hull for Sizzix and I cut it out of Cream Little Sizzles Matboard so it's really sturdy. I also die cut the pieces out of pink gingham patterned paper from Amuse, adhered it to the matboard pieces and sponged the edges with Ranger Distress Tea Dye Ink. Here you can see the inside space with the basket shred taken out. 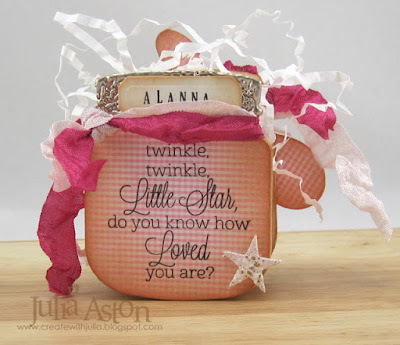 I decorated the back of the jar as well, personalizing it with the new baby's name, Alanna, a sweet sentiment from the Beautiful Baby stamp set by MFT and a Movers and Shapers star cut from the matboard and embossed with Frantage Shabby Pink embossing powder. 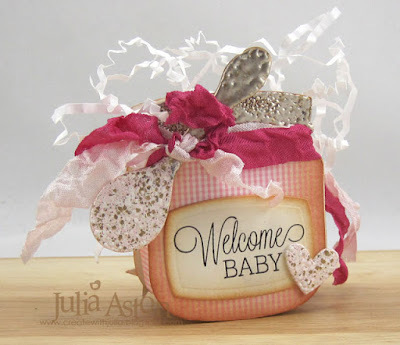 Back again to the front - the die includes a cute little spoon that I embossed with Frantage embossing powders - Aged Silver on the handle and Shabby Pink on the bowl of the spoon to make it look like those little baby spoons with the rubber on the bowl. I die cut the labels on front and back using Thinlets Labels. The heart is from the same Movers and Shapers die set as the star. I also embossed the 'lid' of the jar with the Frantage Aged Silver embossing powder. 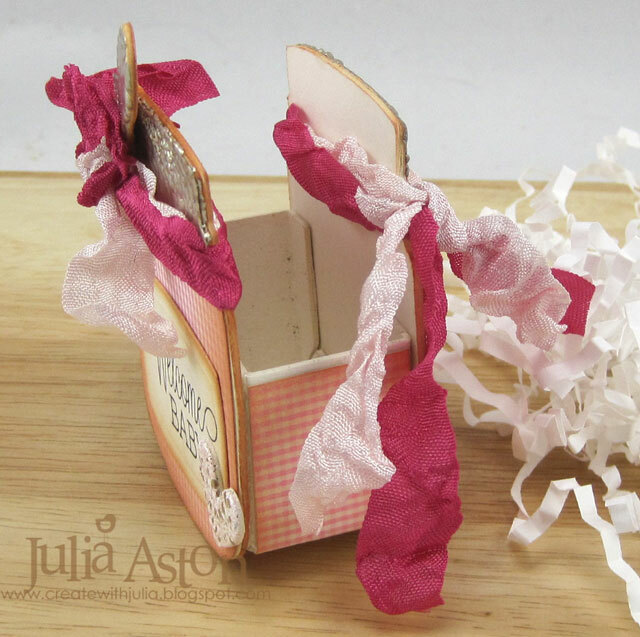 To finish off my cute little jar, I knotted pink and magenta wrinkled seam tape around the tops on both sides and put a little basket shred inside it. I made one of these for a baby boy last winter - you can see it here. Stamps: Beautiful Baby - My Favorite Things, name made with Snap Stamps by Karen Foster- Retired. Accessories: Food Jar 3D and Spoon - Eileen Hull/Sizzix, Star and Heart from Small Movers and Shapers - Alterations/Sizzix, ScorTape, Frantage Embossing Powders Aged Silver and Shabby Pink - Stampendous, Labels dies - Alterations Thinlets. 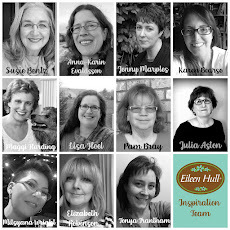 I'm attending the Waltzingmouse June Pajama Party tonight - are you coming too? 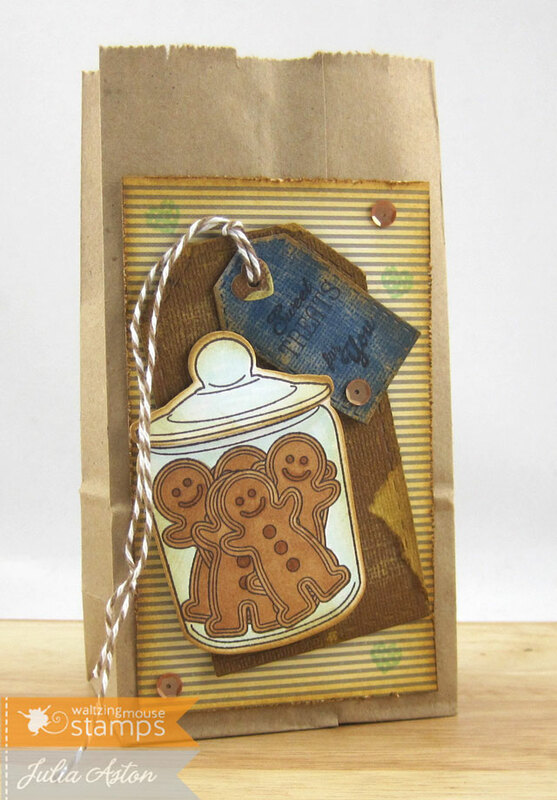 I decided to make a treat bag as I often give gifts of cookies or other treats, especially during the holidays so I like to have them on hand! 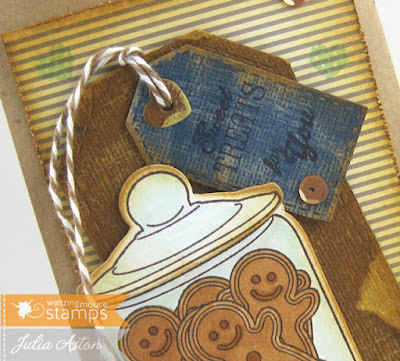 The jar, jar cover and cookies stamps are from Candy Jar Christmas Fillers, the Sweet Treats sentiment is from Candy Jar Christmas, the For You and little heart stamped on the striped paper are from Jam Packed. 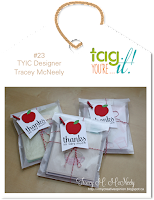 I cut the tags with the Stitched Tag Die set out of Kraft Core Coredinations paper and then lightly sanded them to reveal the kraft core. I cut the jar and lid using the Jar Essentials Die set and the little heart hole reinforcer on the blue tag is from the Folding Tag die set. So cute right? 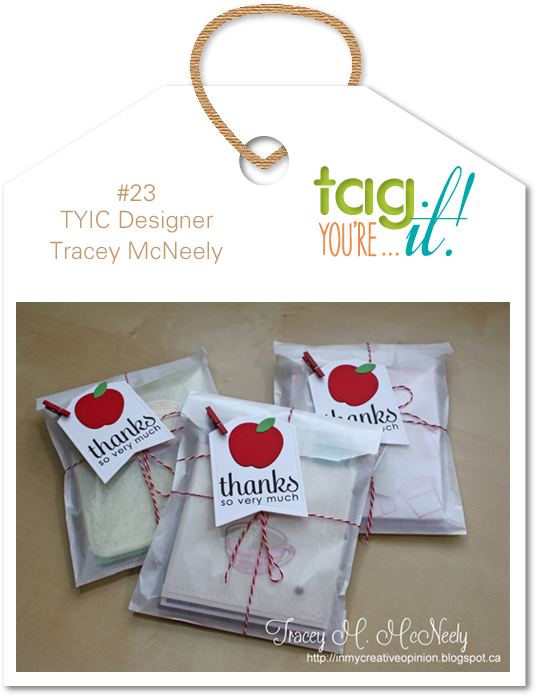 I was inspired by the design of placing a tag on a gift bag and the food theme! For this color challenge, I pulled out a little 4 oz coffee cup and decorated it with a brown strip of patterned paper and stampings from My Island. 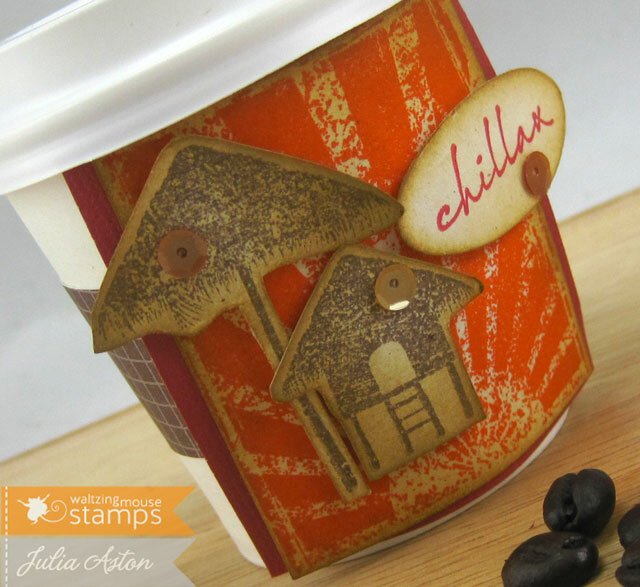 I stamped the sun stamp in Orange Zest, the beach hut and umbrella in Dark Chocolate and the chillax in Pure Poppy. I sponged all the edges with Ranger Distress Brushed Corduroy and layered the pieces onto the sun stamping with foam dots. I added some sequins, layered the sun to a piece of Pure Poppy and adhered it over the band on the cup. A cute little treat container! Challenge #3 - Old Pajamas - Use one of your older Waltzingouse Stamps sets to create a project for this challenge! The WMS Design Team will be digging out our USA 1776, stamp sets for this one. Perfect timing for this set with the 4th of July coming up in the US! 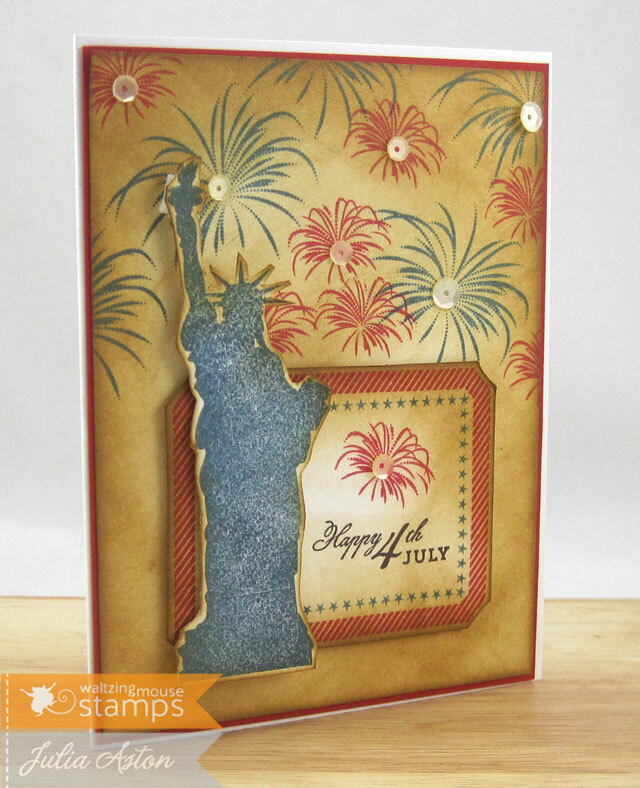 I hand cut the stamped frame and Miss Liberty and layered them over the card base using foam dots. I sponged everything with Ranger Distress Brushed Corduroy and added some sequins to the centers of several of the fireworks! 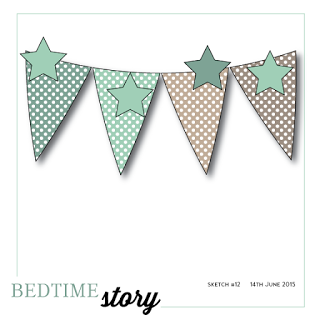 I was inspired to make a baby girl card with the Bedtime Story Sketch. 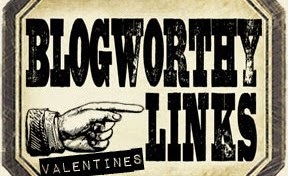 I used stamps from USA 1776 for the banner (see how below). The Special Delivery and Arriving Soon sentiments are from Little Darlings Images and A Baby Girl and a little bundle of Sweetness are from Little Darling Sentiments. 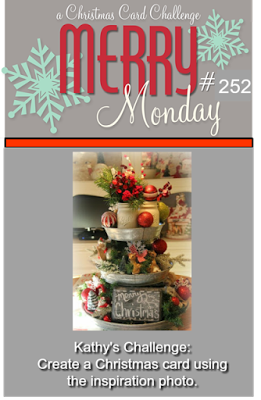 I used the beautiful Picot Panel Die for the sentiment in the center. I added 3 Mirrored Stars for some sparkle! 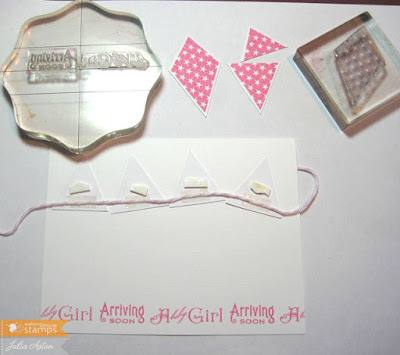 Here's how I made my banner using one of the star arm stamps from USA 1776 (when you put 5 of these together it forms a star) - I stamped it and cut it out leaving a little white border around the edge. Then I just cut across it corner to corner to make a banner shape. I used the larger bottom piece. I put a piece of ScorTape across the top of each banner on the back and laid the twine over it to hold it in place. I put a piece of foam tape on each banner so it would pop up off the card. 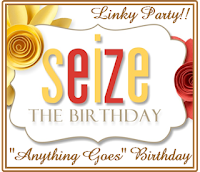 I flipped it over and spaced the banners the way I wanted them on the card front. 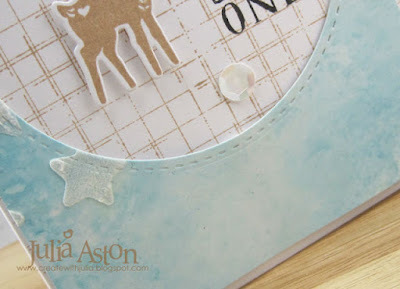 You can also see how I lined up two sentiment stamps on my acrylic block so it was easy peasy to stamp the two sentiments evenly along the bottom. For the single stamp Special Delivery stamping along the top I just drew a line in pencil so I'd stamp straight and erased the line after stamping! So we really hope to see you at the Waltzingmouse Pajama Party - there are prizes to be won! 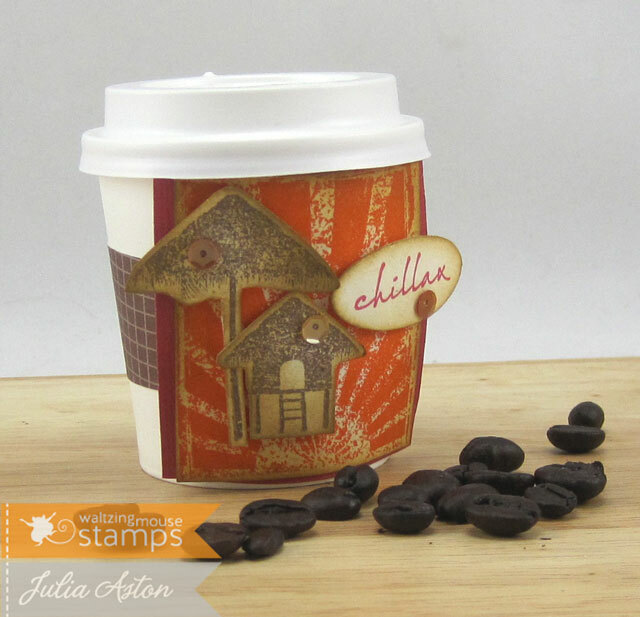 You don't have to use WMS stamps but if you have them please do!! You'll find all the details at the WMS blog. And if you want to go Waltzingmouse shopping at the brandy new designed shop and check out Claire's new June releases - take a peek here. Paper: White - PTI, Kraft Core Coredinations/Tim Holtz, DP - Farm House Paper Pad - October Afternoon. Accessories: Brown paper bag - Michaels, Dies - Jar Essentials, Stitched Tags, Folding Tag - Waltzingmouse, Cappuccino Twine - The Twinery, Copics: BG10, E37, E35, Mini sanding block - Ranger, Kraft Blend Sequins - Avery Elle, Scotch Quick Dry Adhesive, ScorTape, foam dots. 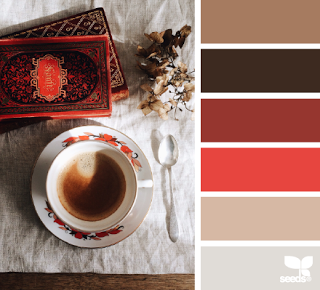 Ink: Orange Zest, Pure Poppy, Dark Chocolate - PTI, Ranger Distress Brushed Corduroy. Accessories: Lemonade Blend Sequins - Avery Elle, foam dots, Scotch Quick Dry Adhesive. 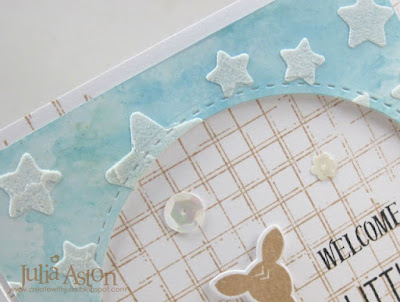 Accessories: Blossom Twine - The Twinery, Mirrored Stars - Idea-ology, Picot Panel Die - Waltzingmouse, ScorTape, Scotch Quick Dry Adhesive, Foam dots. I have loved doing arts and crafts all my life. 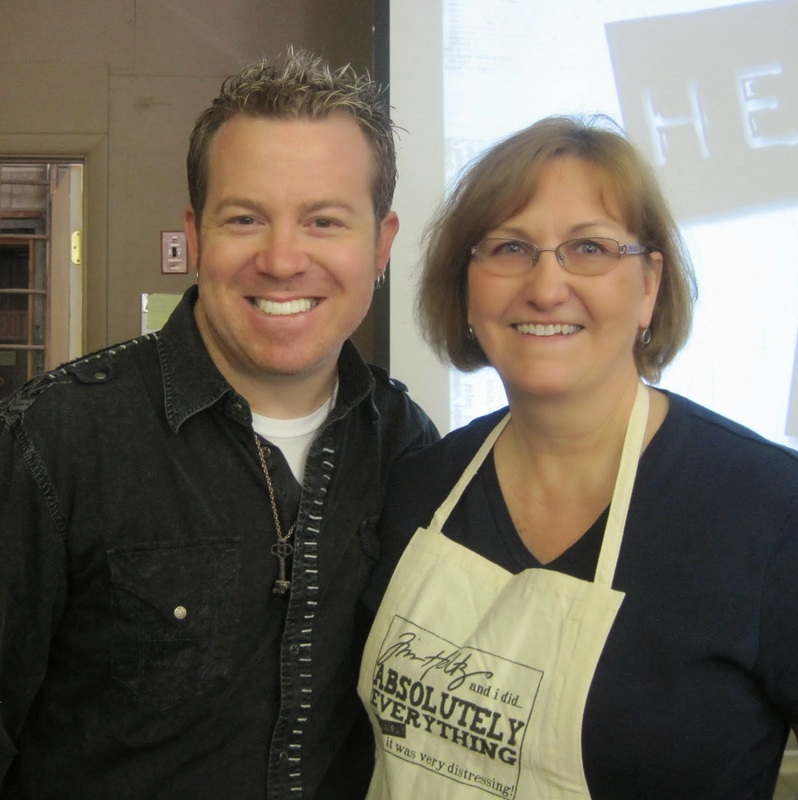 I live in Massachusetts and am very happily married to Kent who encourages my craftiness! I have one grown son, and two beautiful Russian blue cats. 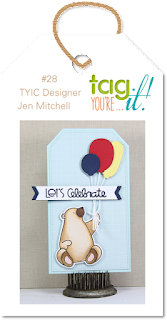 I started my blog as a place to share my card stamping and paper arts - I hope it inspires you as all of your blogs inspire me! Want to know when I update my blog? Suscribe and receive an e-mail recap with each new post! 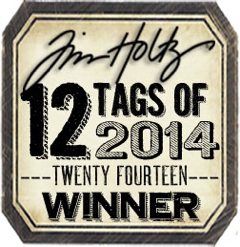 I won for my July Tim Tag! All content including design work, text, and photos is copyright Julia Aston. Everything here is for personal enjoyment only. Please do not use to submit for publication or contests. Copyright 2008. Designed by Loll Thompson - 2019. Simple theme. Powered by Blogger.